Welcome to my Almo Nature cat litter review. I sometimes spend my days advising people on cat toilets. Yes. you read that correctly! When I visit a cat guardian’s home I am always eager to see the litter tray and cat litter they have chosen to use. Why? Because it is an important aspect of sharing space with a cat and all toilet decisions need to be spot on to avoid accidents around the home. I had been looking for a soft sand like litter substrate for some time so when, at a recent National Pet Show at NEC in Birmingham, I came across a new litter by Almo Nature, I was curious and very interested. It took me seconds to realise the Almo Nature CatLitter was the softest litter on the market to date and that my search had come to an end. The high-performance litter harnesses the power of starch from vegetable fibers for super-fast clumping action, leaving the surrounding litter and tray perfectly clean. Furthermore, the plant enzymes swiftly neutralize odors, offering safe, natural protection from any nasty odors. That makes it perfect in my eyes. 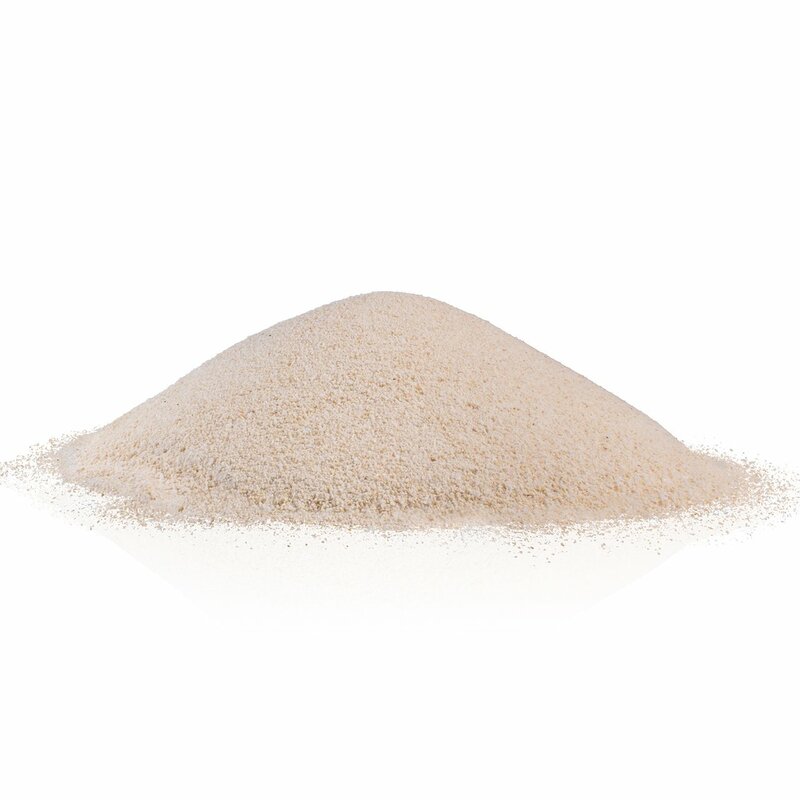 The number one benefit of Almo Nature cat litter is that it’s super soft on the paws of a cat and also resembles the texture of what they would dig in the wild (sand or earth). This is ideal for ALL cats but especially ideal for declawed, disabled or elderly cats. ** See local regulations. Never flush the entire tray of litter down the toilet, just the solid clumps. The cost of the Almo Nature CatLitter is higher than other cat litters but will last longer and is worth the investment rather than dealing with unhappy cats walking on litter substrates they find unappealing. It is also worth spending a bit more for the best cat litter because, lets face it, hiring a behaviourist to deal with any toilet issues plus having to change carpets and furniture that smell of urine, can run into thousands of pounds and is very stressful. My wait is finally over. 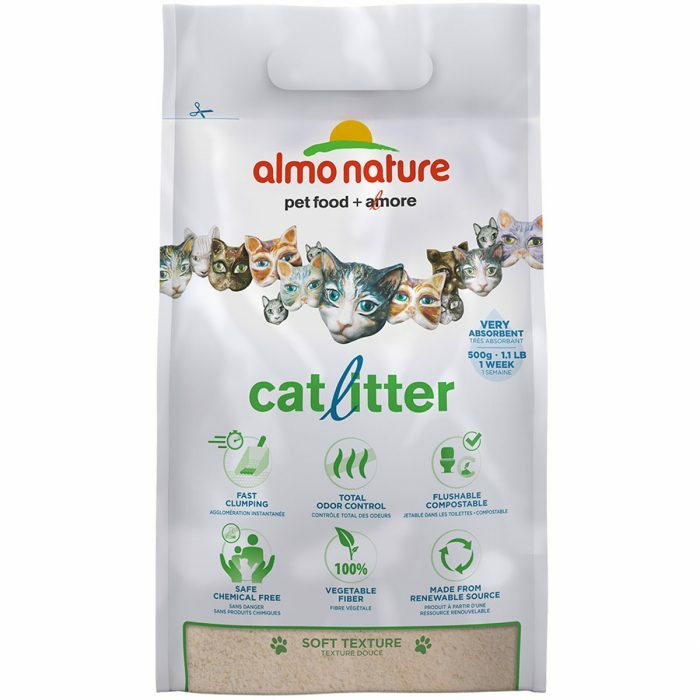 The new Almo Nature CatLitter gets 5 outta 5 stars from me and is the softest cat friendly litter I have ever found. I will be highly recommending this cat litter to all of my clients and have switched to this for my own two cats who are very very happy cats indeed. 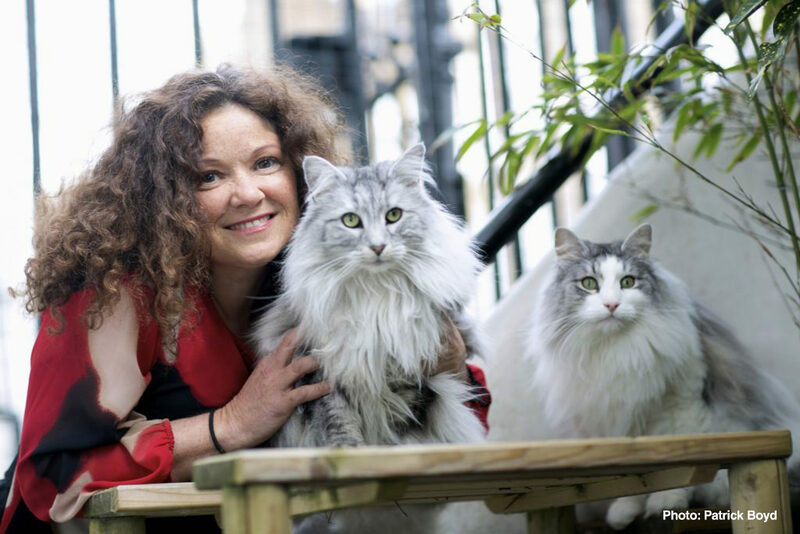 I was not paid for this review and my review is based on trying this product out on my own two cats Kiki and Zaza (below) plus several cat clients of mine. Specializing in dog and cat food, Almo Nature was founded in 2000 thanks to the intuition and experience of Pier Giovanni Capellino, a long-time entrepreneur in the field. Almo Nature’s philosophy revolves around the quality and origin of the ingredients used for its dog and cat food in order to formulate recipes according to their point of view, which has been the official positioning statement for years. Almo Nature was the first company in the world to introduce a wet pet food line entirely consisted of ingredients fit for human consumption (HFC). The company created a dry food line directly afterward, introducing the world’s first HFC kibble for dogs and cats under the name aLternative. More recently, Almo Nature revolutionized the cat litter market with the launch of its innovative CatLitter. With no chemical components of any kind and of all-natural origin, this litter is distinguished by its safety and remarkable performance: a bag of 5 lbs guarantees up to 4 weeks of hygiene (for an average cat of 9 lbs). Almo Nature has grown into a “pocket multinational” with its headquarters in Genoa and smaller offices in Germany, Switzerland, Great Britain, France, the Netherlands, Canada and the United States of America, and has become a benchmark and knowledge center for innovation in the industry. Spurred on by love and respect for nature and our companion animals, Almo Nature’s founder, Pier Giovanni Capellino decided to use all company profits, from January 2018 onwards, to invest in solidarity projects for dogs, cats and biodiversity. It is the start of a new foundation, called Fondazione Capellino (Capellino Foundation) and the start of a new positioning statement for the Almo Nature brand: owned by the animals. The foundation has an innovative socio-economic model: a non-profit foundation (Fondazione Capellino) with the sole objective of defending dogs and cats and preserving biodiversity, merged together with a company (labor + financial capital + branded products), whose profits allow it to pursue an aim of general interest. This way, the animals, as well as the customers are the ultimate beneficiaries of Almo Nature. All enquiries most welcome. No issue is too big or too small.